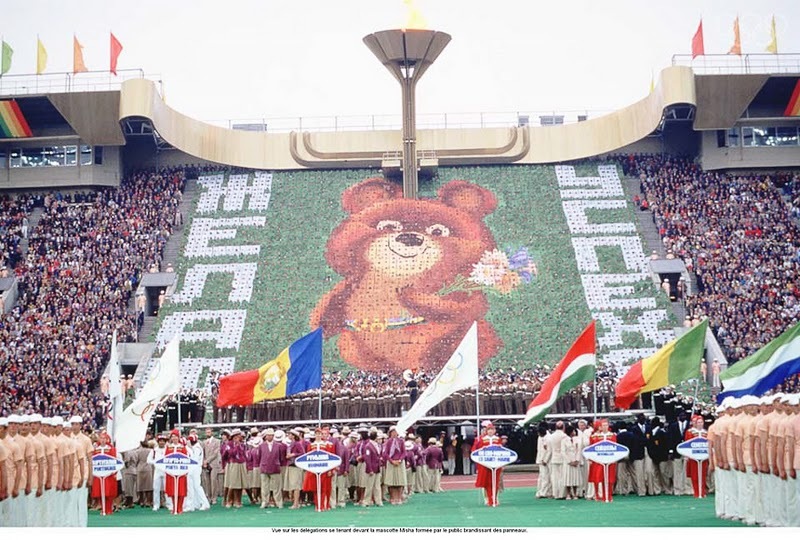 30 years ago today 10-year-old me was sitting in front of our 12-inch black-and-white TV watching the opening ceremonies of the 1980 Summer Olympics in Moscow. It’s safe to say that everyone else in the country was doing the same. 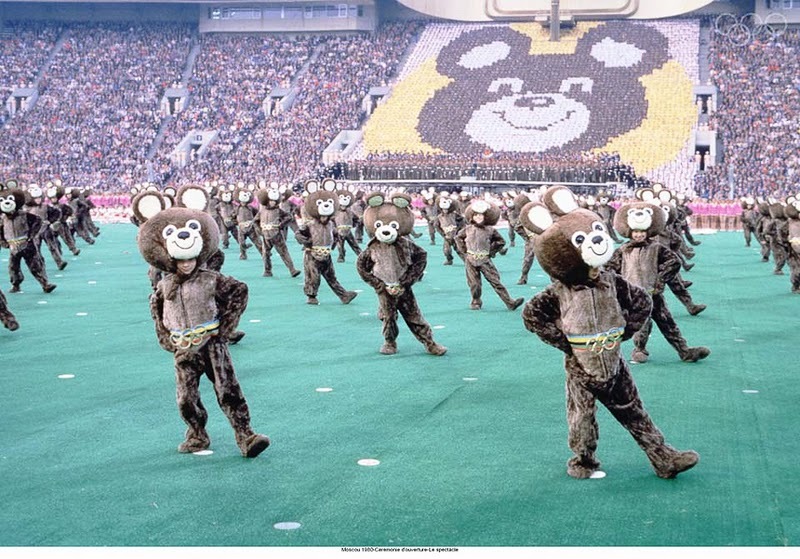 Even though we had only 3 TV channels at that time and many shows enjoyed close to 100 percent rating, the Opening and Closing Ceremonies of the Moscow Olympics were probably some of the most watched events in the Soviet TV history. Unfortunately outside of the Socialist-friendly countries not too many people had a chance to see any of the 1980 Summer Olympics and it’s a shame because the USSR, anxious to show the triumph of the socialist system made them some of the most enjoyable and sincere ceremonies in the Olympic history. 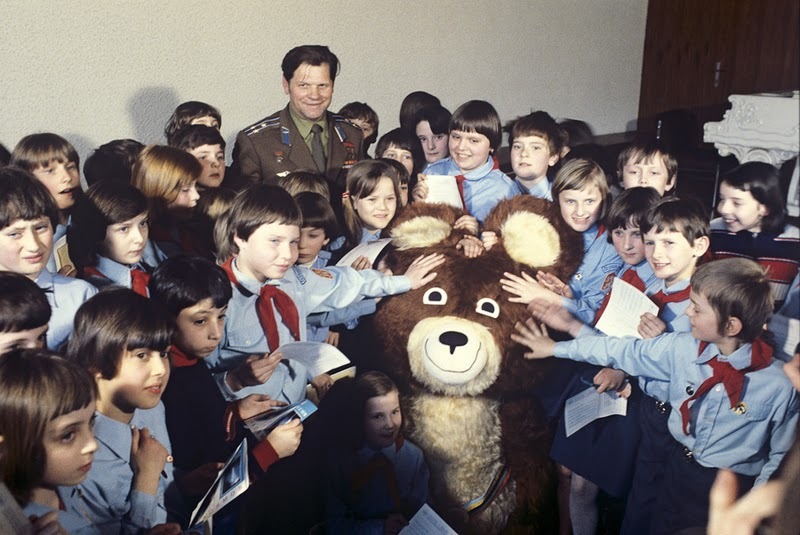 Since then many countries used complex scenarios and spectacular special effects but none has achieved the level of pure joy and emotional connection the Soviet people managed to build into their Olympiad. Even today, so many years later, it’s one of the most nostalgic moments in the lives of my generation. 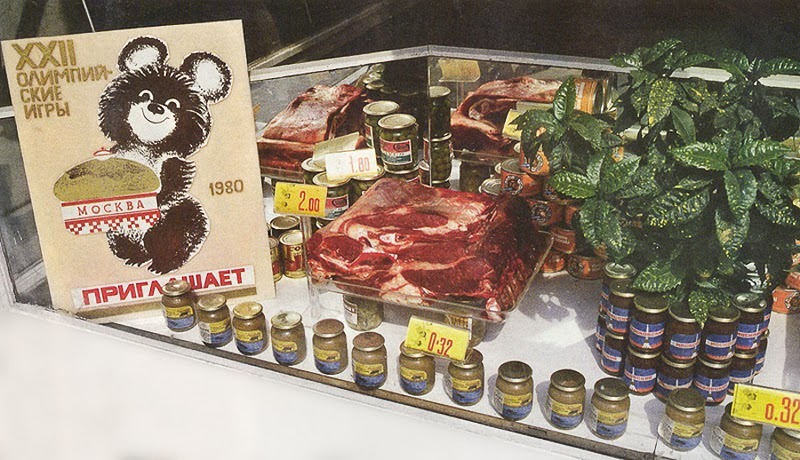 Many people remember the games, beautiful opening ceremony and a tearful closing, a rare glimpse into Western life, with the first Soviet-made Pepsi, never-before-seen imported foods, crowds of foreigners, new construction in Moscow. Others talk about the measures the government took to round up and deport the homeless (and prostitutes) out of the city for the duration of the games, or how many parents received heavy-handed suggestions to send their kids to the out-of-town summer camps away from the “danger”. I didn’t know any of that at the time, and probably didn’t care being 10. All I remember is the summer, beach, friends, little cabin we rented near the sea, and a small TV. A happy place, long time ago, far away from here. A 25-minute video of the Olympic torch and the Opening ceremonies.